Have you ever tried Cambodian cuisine? I hadn’t until last week, and I had been missing out! Aloha Streatery is one of my favorite local food trucks, serving up Hawaiian buns and pineapple rice bowls. So when I was invited to a Cambodian pop-up concept presented by the truck’s chef, I was so in. Held at the always tasty Bonifacio restaurant, we enjoyed cocktails on the regular Bonifacio menu, and then got down to gobbling up the courses. My husband and I went for the divide and conquer strategy in order to try everything! 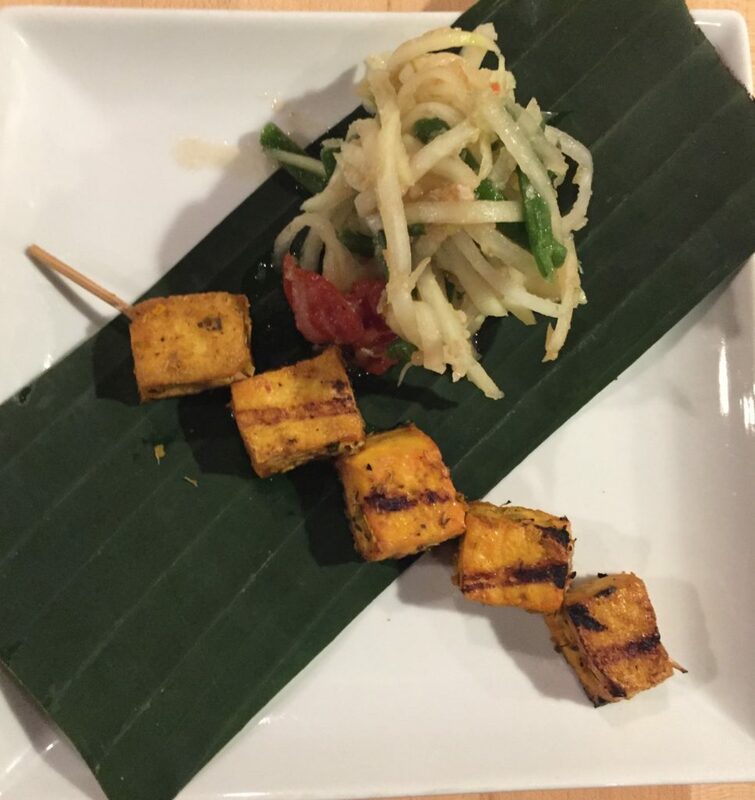 To start: crunchy papaya salad with just a kiss of heat, paired with a lemongrass beef or tofu skewer. It was a perfect blend of textures. Next we moved on to the soup, Cambodian tomato pineapple broth with chicken, surprisingly light and flavorful. 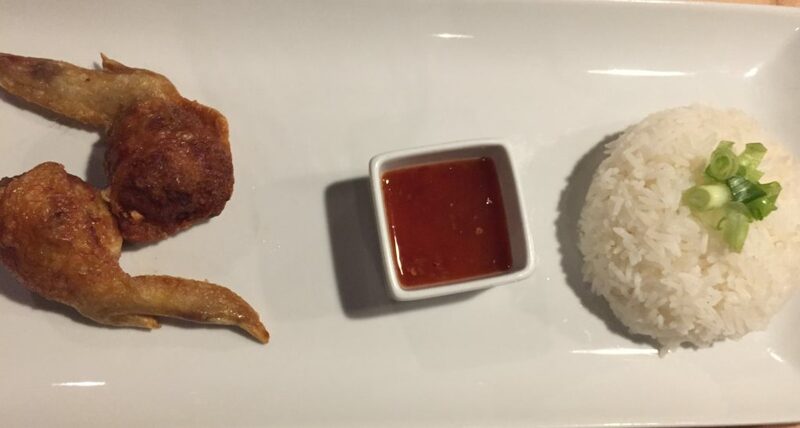 For mains, we noshed on crispy stuffed chicken wings with sweet chili sauce, and marinated beef with garlic-lime sauce. I’m still dreaming about the garlicky goodness of this beef sauce and imagining all the things I could slather it on. Tacos? Pizza? Yes to all. The grand finale was mango sticky rice with warm coconut milk. It was rich and heavenly, and as soon as I got home I pinned a bunch of recipes to try and recreate it myself at home. I was fortunate enough to sit with a group of super kind folks who had actually visited Cambodia, so I got some background on many of the dishes too. 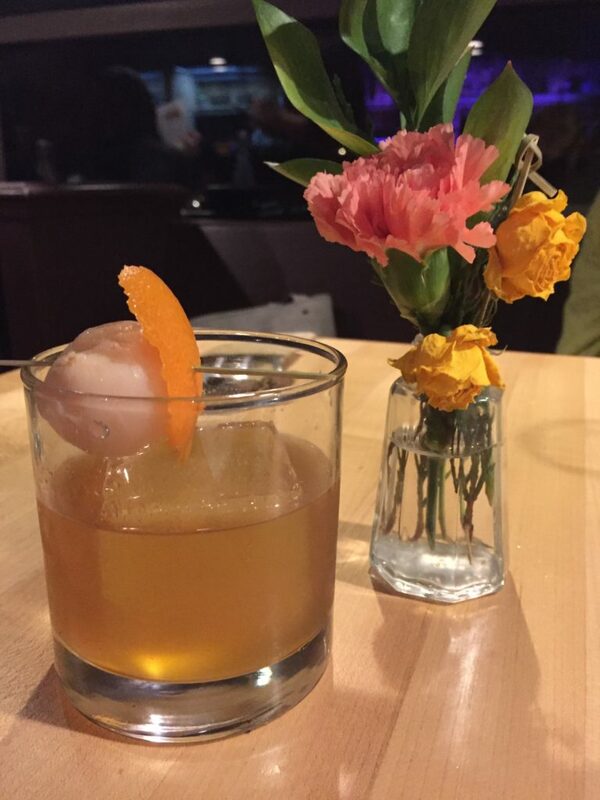 It was a fun evening filled with memorable dishes and I can’t wait to see what comes next for the Aloha crew. There will be another pop-up event in about a month, so follow Aloha’s social media channels (instagram /twitter/facebook) to catch the next dinner! Disclosure: I was invited to this event by Aloha Streatery, but all opinions about the experience are my own.